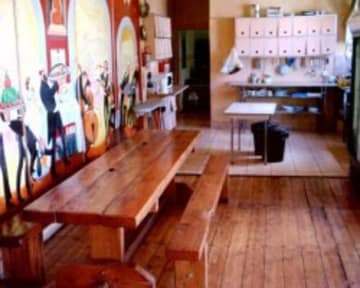 Cat and Moose Backpackers Lodge i Cape Town, Sydafrika: Reservér nu! 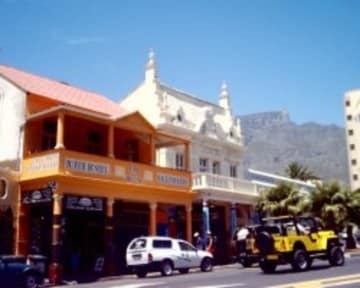 Established in 1995, we are housed in a historical building built in 1792, one of the original Central Cape Town dwellings. Our charming building is set against the backdrop of the majestic Table Mountain and encloses a leafy, sunny and private courtyard with splash-pool. The Cat & Moose is within walking distance from the train station and central bus terminus. We neighbor the famous Turkish Baths and early 20th century historical indoor swimming pool. Historical Dutch Company Gardens, South African Museum, Planetarium, National Gallery and Holocaust Museum are all a block away. Services you need such as a 24 hour convenient store, supermarkets, bars, a variety of restaurants and shopping malls are all within few minutes walk. We are open 24/7 each day of the year. Reception is open 7am-10pm where you can also obtain travel information, and make tour bookings. We offer key less entry with security access code. Aside from the facilities below we have a large TV lounge and large balcony overlooking Long Street, famous for vibrant nightlife and trendy restaurants, bars and lounges. Furthermore travel agencies, surfboard and skateboard outlets are situated right next to us. Free WiFi provided for your convenience.